What is LASIK, what's PRK? 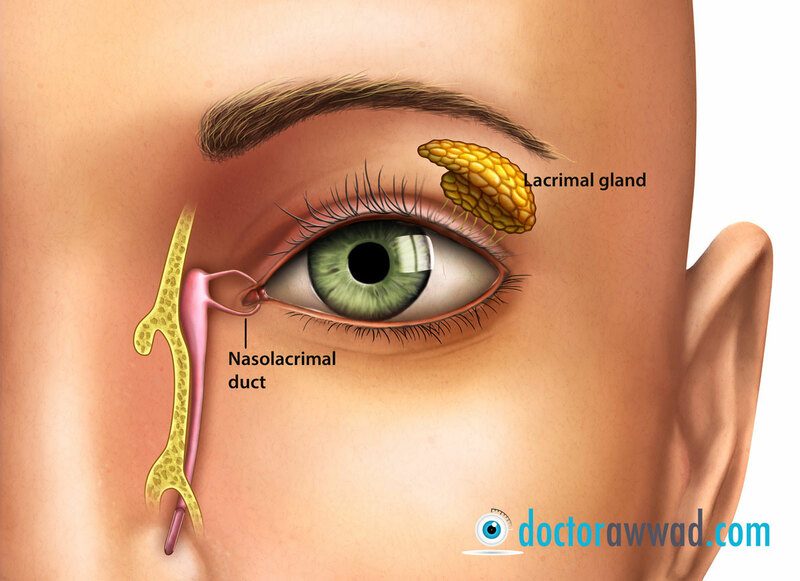 Dry eye disease is a condition characterized by tear insufficiency. This might be initially due to either a decrease in tear production or an increase in tear evaporation. What would I feel if I have dry eyes? Individuals with dry eyes usually have one or more of the following complaints: foreign body sensation, feeling of grittiness or that there are "sands" in the eyes, heavy eyes, especially later during the day, burning sensation, fluctuation of vision, eye redness, and tearing, especially while reading, staring, or using computers. Dry eye disease can happen in perfectly healthy individuals. This condition is getting to be very common lately, due to our increased dependency on near work and reading and devices requiring staring and focusing, like computers, tablets, and smartphone work. Pollution and temperature acclimatization, especially in the hot summer or cold winter, can also destabilize a borderline condition. Hormonal changes typically manifesting in middle-aged women often cause dry eyes. 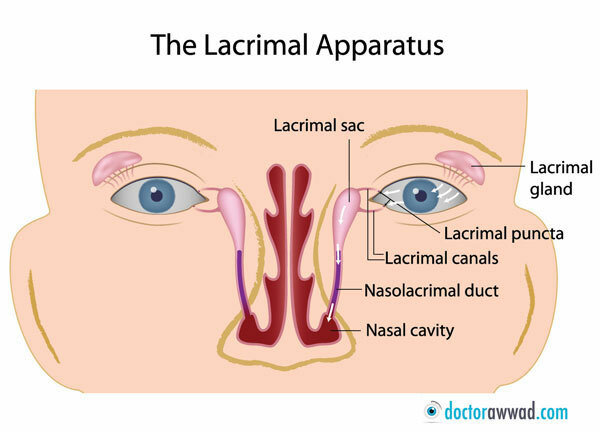 Older age is often associated with aging of the lacrimal gland, as well as disease of the eyelids meibomian glands, resulting in decrease tear production and/or increase in tear evaporation. Additionally, contact lenses and a recent refractive surgery such as LASIK or PRK can induce eye dryness. Many of a time, it is the combination of several of the above factors. Medications can also cause or help worsen dry eyes disease. Examples include roacutane and co, anti-histamines used for allergy, anti-depressants, and diuretics often prescribed for hypertension. Medical and eye conditions can also cause dry eye disease. Sjogrens disease, a rheumatological entity commonly manifesting in women, especially middle aged women, other rheumatological conditions, diabetes, blepharitis, a lid condition that frequently lead to increased tear evaporation and dry eyes, after blepharoplasty surgery, and lower lid laxity, all, among others, can cause dry eyes. What could exacerbate the eye dryness? It is well known that dry climates typically worsen dry eye disease. Hot climates increase tear evaporation and by the same token, negatively affect dry eye condition. Smoking and smoky environments disrupt the integrity of the tear film over the eyes. Staring causes dry eyes by disrupting the tear film due to decreased frequency of blinking. Staring is typically present when individuals are evolved in any activity requiring concentration, such computer work, smartphone browsing, reading, studying, and watching TV. While performing the above activities, an individual blinks on the average around 5 times per minute instead of 15 times a minute. Eye lubricants are designed either with preservatives or without. The ones with preservatives need to be instilled up to 4 times a day, while the ones with no preservatives can be used as much as one desires, depending on the extent of the symptoms. The ones with preservatives usually come in standard eye drops containers (usually 10 or 15 ml), while those without preservatives are usually packaged in small disposable units to be used once or couple times during the same day before being tossed away. Some preservative free drops formulations also come in special containers with a filter or one-way valve to prevent bacteria to seep in. Punctal plugs are very small biocompatible devices (about the size of a grain of rice) that are inserted into tear ducts found at the end of the lid margins towards the nose in order to block tear drainage. Punctal plugs improve the eye's tear film and help it bathe the eyes longer, relieving the symptoms of dry eyes. Punctal plugs do not eliminate the need for lubricant eye drops, but they decrease the dependency on them and further improve the eyes comfort. The risks of punctal plugs are fairly small. Occasionally, they can cause eye irritation, excessive tearing and/or secretions, and, in very rare cases, focal infection. A relatively large silicone plug can cause slight pain upon blinking after insertion, but this discomfort usually goes away within few days. Punctal plugs insertion is a very easy office-based procedure performed under local anesthesia (numbing eye drops) by the eye doctor while the patient is sitting and being examined. The procedure time is a minute or two per eye. Patients can resume their routine daily activities right after. Individuals’ responses to the drugs vary, so decision to keep or stop Restasis® is usually best kept till 6 months after starting it. Restasis® comes in a preservative free disposable unit, to be used twice a day while being kept in the refrigerator. However, there is evidence that 4 times a day for the first 3 months can speed up symptoms improvement. Restasis® is considered very safe, but might cause some burning and stinging upon instillation in some patients. A diet rich in omega-3 fatty acids-fish oil and flaxseed oil, is well known to markedly boost the eye’s tear film. There are some pills on the market that contain the necessary dosages of both fish oil fatty acids and flaxseed oil and are specifically designed for dry eyes, although they do provide added benefit for the general health as well. An example of these drug is TheraTears Nutrition® (softgels); (http://www.theratears.com/documents/nutri_supfact.pdf). Patients can also get their own daily supplement or intake of fish oil omega-3 (EPA at least 450 mg, DHA at least 300 mg) and flaxseed oil (1000 mg). Newer generation steroid eye drops are used for a short period of time to break the vicious cycle of [dryness-injury-inflammation-dryness] which is seen frequently in patients with moderate to severe dry eyes. 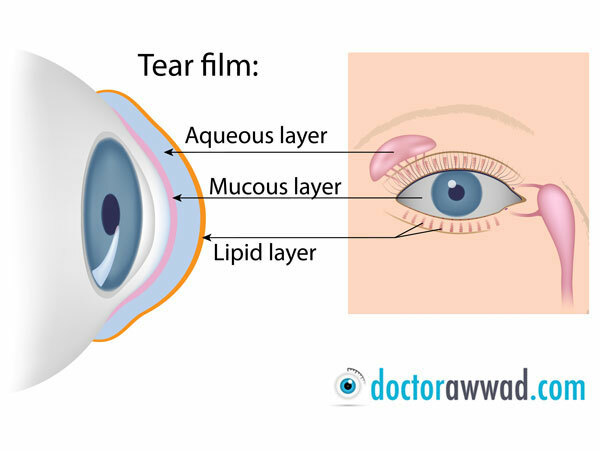 They can also be used later during the course of therapy to maintain tight control on the tear film once exacerbations start to get out of control. Steroids eye drops are not over the counter (OTC), and can cause cataract and glaucoma if used for a certain period of time. Fortunately, newer generation steroids have very low incidence of glaucoma and cataract while still being very active at comforting the eyes. They too are not OTC and should only be prescribed by your eye doctor. Example of newer generation steroids is loteprednol (Lotemax ® ).